I have been thinking of making a scrapbook of my daughter Ananya. She is a very creative child and I have captured her playing with clay, making cards, jewelery, reading, writing and so on. But I haven't still gotten around scrapbooking. I have some ideas how I am going to put the photos. But some of the photos haven't turned out the way I wanted. Yesterday I got to know about Krome Photos. It's a site which not only allows to store photos online, but also helps you to make them better. Your can tag your photos for easy recall and storage. Users can even upload their photos from google Picasa album to Krome Photos with a click of the mouse. 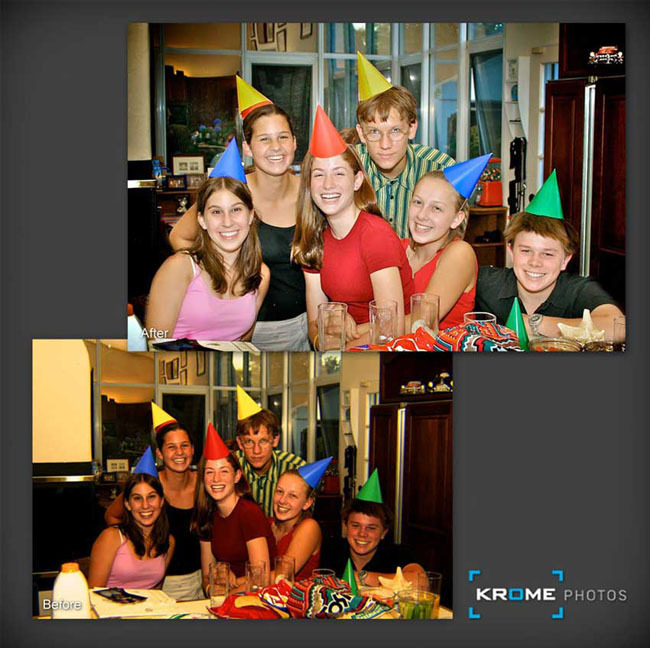 Krome employs photo editors who work on making your photos look more professional and better. They remove any shortcomings in the photos like red eye, dullness, over exposure etc. Krome Photos offers a free trial for it's customers where you can get first 25 photos treated for free. Thanks for sharing our services with your Blog readers! Please keep visiting us and using our services; we are constantly improving them to keep satisfying our Krome Users, making their photos exceptional!